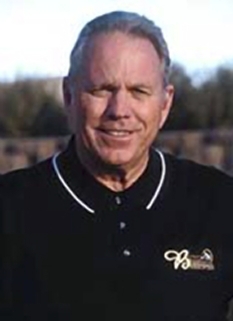 Golf pro, Gary McCord, was born May 23, 1948 in San Gabriel, California. 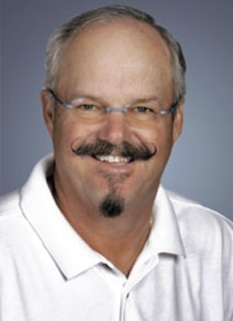 McCord is a professional golfer, commentator and author. He was a two-time All-American at the University of California, Riverside. 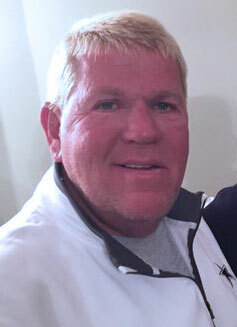 McCord won the NCAA Division II individual championship in 1970 and turned professional in 1971. McCord's best-ever finishes on the PGA Tour were at the 1975 and 1977 Greater Milwaukee Open, placing second at both tournaments. During his years on the PGA Tour, he had just under two dozen top-10 finishes. 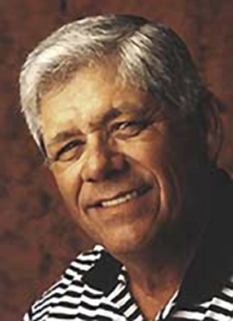 In 1986, McCord joined CBS Sports as a golf analyst, a capacity in which he still serves. McCord is noted for his outspokenness, a trait that has seen him barred from the CBS commentary team for The Masters. 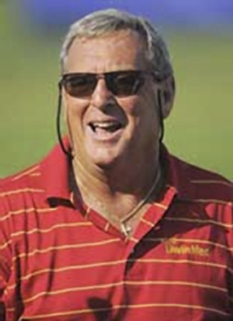 During the network's coverage of the 1995 Masters, he remarked that the 17th green was so fast that it seemed to be "bikini-waxed", and that "body bags" were located behind that green for players who missed their approach shots. Augusta National Golf Club, which organizes The Masters and is notoriously sensitive about how its course is described, used its influence with CBS to have him removed from the Masters commentary team. While McCord has continued to cover virtually all other golf events aired by CBS, he has never returned to Augusta. 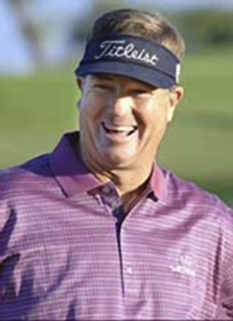 Aside from his CBS commentary duties, McCord also plays on the Champions Tour, where he won his first event at the Toshiba Senior Classic in March 1999, and followed up by winning that year's Ingersoll-Rand Senior Tour Championship. Also back in 1991 he won the Gateway Open on the Ben Hogan Tour, the second tier tour in America, which is now called the Nationwide Tour. McCord has also written two books, Just a Range Ball in a Box of Titleists and Golf for Dummies. In 1996, he appeared as himself in the Kevin Costner movie Tin Cup. 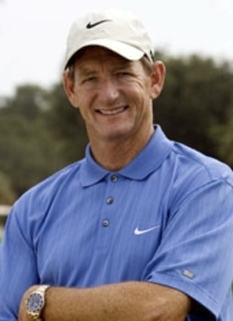 He and Peter Kostis are partners in the Kostis/McCord Learning Center in Scottsdale, Arizona. 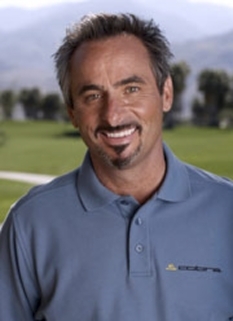 He is also a co-announcer on the EA Sports' Tiger Woods PGA Tour series along with David Feherty. McCord credits golf pro Brad Britton for teaching him the ins and outs of the golf swing and especially the mental game. McCord lives with his wife, Diane, in Paradise Valley, Arizona and Edwards, Colorado. DISCLAIMER: PFP Sports Talent Agency does not claim to represent itself as the exclusive agent for Gary McCord. PFP Sports Talent Agency is a booking agency that represents organizations seeking to hire pro athletes and sports personalities such as Gary McCord for speaking engagements, personal appearances, product endorsements and corporate entertainment. Fees on this website are estimates and are intended only as a guideline. Exact fees are determined by a number of factors, including the location of event, the talent’s schedule, requested duties and supply and demand. PFP Sports Talent Agency makes no guarantees to the accuracy of information found on this website and does not warrant that any information or representations contained on this website will be accurate or free from errors. We are often asked how can I find out who is Gary McCord's agent? To find Gary McCord appearance fees and booking agent details, you can contact the agent, representative or manager through PFP Sports Talent Agency for speaking fee costs and availability. PFP Sports Talent Agency can help your company choose the ideal sports personality for your next marketing campaign. To hire Gary McCord for an appearance, speaking event or endorsement, contact Gary McCord's booking agent for more information.